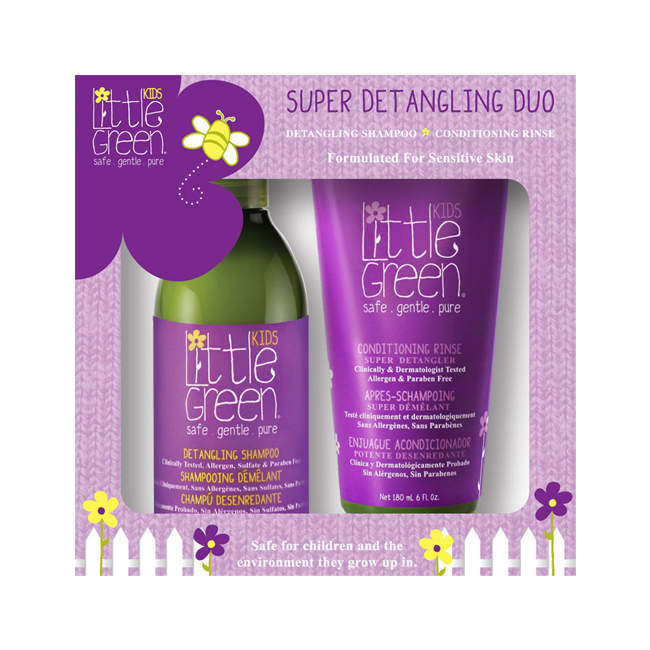 Two-step detangling system for kids that gently cleans and conditions. 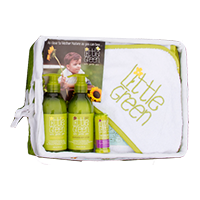 Lightweight shampoo, enhanced with hydrating extracts and nourishing botanicals, gently cleans hair and detangles knotted locks. 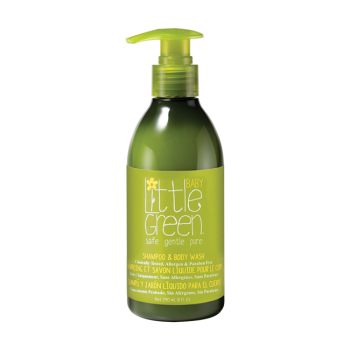 Lightweight detangling rinse, infused with natural Avocado, Jojoba, Marula and Coconut oils, hydrates and conditions hair. Detangling Shampoo: Pump in palm and apply to wet hair starting at the ends and working upwards. 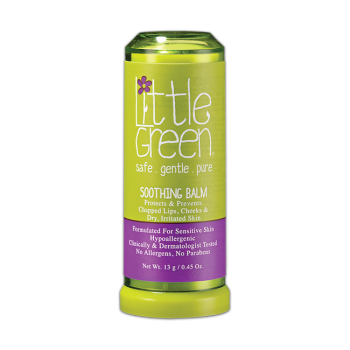 As shampoo begins to lather, use fingers to rake through hair and separate knots. Rinse and follows with Little Green Conditioning Rinse. Conditioning Rinse: After cleansing with Detangling Shampoo, apply a small amount of damp hair and rinse.